About Aleksandra Vinogradova : Originally russian graphic designer, illustrator and art director, currently working in Los Angeles, California. Portfolio includes work for high profile clients such as Discovery, Lipton, Moschino, Rosno, Sviaznoy, etc. 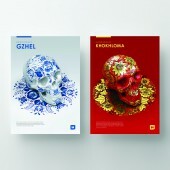 ; Body of work is multifaceted including print campaigns for HBO, A&E, FX, SyFy, etc. ; launching of FYI network, Tomorrowland, True Detective, 12 Monkeys, Damien, Opposite worlds, and rebranding projects for A&E network. 2010, engineer, Izhevsk State Technical University, Izhevsk/Russia. Press Members: Request an exclusive interview with Aleksandra Vinogradova.